I lived in a shoe box in the middle of the road! 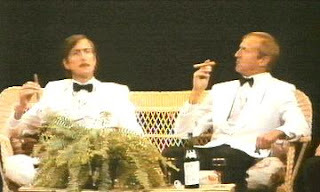 When it comes to brilliant comedy writing, Monty Python is very high on my list. Which brings me to one of my biggest resolutions this year: STOP COMPAINING! 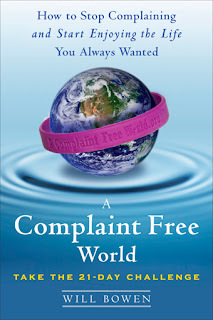 If you’re like me – even to a small degree – you owe it to yourself to read an insightful little book: A Complaint Free World by Will Bowen. Inside you will find his recipe for ending the dis-ease of complaining, gossiping, and criticizing. As a result of reading this book, you will now see me wearing a purple bracelet. What’s it all about? Check out http://www.acomplaintfreeworld.org for more details. Part of the motto of the Knights of Moleskine, Spirit, and Ale is: “We are sovereign rulers of our own lives.” My new purple bracelet will help me recognize that I have the power to control my thoughts, words, and deeds. May you soon see me as a more positive force in this universe and sense my new vibration of optimism and hope. Yes, indeed we are lucky if we can exercise the wisdom that Sir Bowie has shared with us. Complaining can be so fun, so easy and seemingly so harmless; however, as a wise priest just told me, "Think of yourself as an electrical circuit. What comes in is what goes out." Think negative, you are negative. Hurt? You will hurt other's. Happy? Those around you can't help to be happy. As Fr. Ken said, "Christ is like a big transformer inside this circuit. He can transform the negative energy to positive energy." But of course, as Sir Howie has pointed out, Part of that is up to us. We are the hands, the eyes, the ears, the feet, the body of divine energy here on this earth. We already possess the potential for greatness, we just have to believe it, find it and use it. Purple is a color of transformation. In the Liturgical Calendar, purple is worn during Lent and Advent, times of potentially huge personal introspection and transformation. It is also the color of royalty in ancient times, being that its dye was the rarest and most expensive to make. Become rare in your own life. It just might help other's! Purple Haze, Purple Rain, Purple People Eaters...honor Purple and Yourself. Perhaps purple should somehow be the official color of Knights? Your beautifully worded comments got me wondering: Purple beer?